Welcome to this 5th and final segment in The Ultimate Key To Happiness series. The 1st segment is here, the 2nd segment is here, the 3rd segment is here, and the 4th segment is here. The Big Mystery: What IS Happiness … Really? You can play the audio from here, using the player below, or download it and listen on your preferred device. After listening to your audio segments on happiness, I get the impression that you downplay the means that people employ to achieve happiness, and put more emphasis on the end itself. It’s as if you’re saying, “You don’t really want a million dollars, you want the happiness that you think comes from having a million dollars. You don’t really want the means, you want the end.” And I don’t agree with this. You say we ride a roller coaster to experience certain feelings. I ask if the feelings are the only thing that matter, why don’t we ride the same roller coaster over and over again? Why is it that we get in line for other roller coasters that are expected to give the same results? If horror is my favorite genre, and feelings are are the only thing that matter, why do I watch different horror movies, instead of watching the same one over and over again? And why do I sometimes switch between watching horror movies and reading horror novels? My point being that while the feeling is a desired end, there is also a certain pleasure in the means to that end. I agree when you say that the feeling is the end result that we’re looking for. And I agree when you say that we want to experience a variety of emotions, not just the “good” ones. But I would like to suggest that we want to experience those emotions through a variety of means. So it’s not always, “I want a million dollars because then I’d be happy.” It’s more like, “I want to experience happiness through the medium of having a million dollars.” That’s a big difference in meaning. My question is are you saying that the means isn’t important if all we want is the feeling? Is there a problem with choosing the means to a particular end? I hear what you’re saying and appreciate you taking the time to reach out and share. What you discuss above is not easily addressed in a blog post or reply to a blog post, as, to me, it is quite complex. I will answer in simple terms. Through my bias, you are combining 2 different Human Experience Dynamics together: 1. Why do we do what we do on a daily basis? 2. 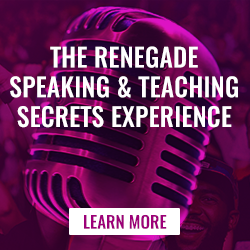 What is The Human Experience about … at its very core? From what I’ve been shown, witnessing my own journey and the journeys of tens of thousands of others throughout the world I’m aware of, when you dig deep into what motivates our actions in our daily lives, the desire to be happy is the prime motivator. 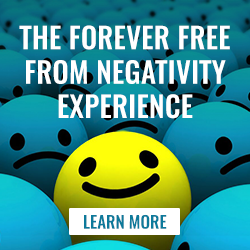 Of course “happy” is just one word pointing to “feeling good.” Other words could be substituted. 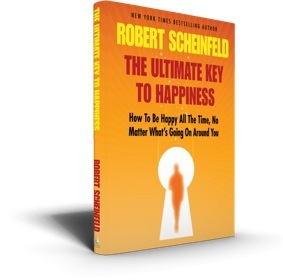 If you haven’t yet read “The Ultimate key To Happiness” book, I would suggest you do so. 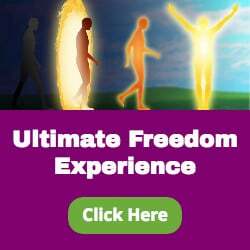 It’s a quick read and there’s so much more there of great value on this topic – as there is in The Ultimate Key To Freedom Online Experience which goes even deeper. Thanks again for stopping by and sharing. Your book has been on my mind for some time now; I look forward to reading it.